I’ve been looking for some time for a wonderful space to run my workshops in. Something large, light filled, and indoors. Something centrally located near public transport in a vibrant inner city suburb. It is with great pleasure that I share with you that I have found all of this and more in the new Cecilia Fox warehouse in Brunswick. Mel, the woman behind Cecilia Fox has recently landed herself an AMAZING new warehouse and is welcoming my classes to her new space. 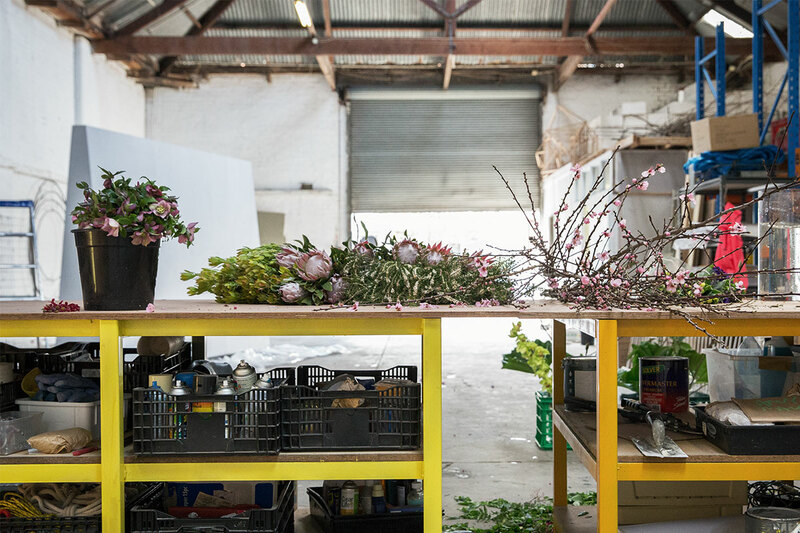 Her light filled warehouse is located in Brunswick very close to the Sydney Rd tram (19), and lots of great shops and cafes. 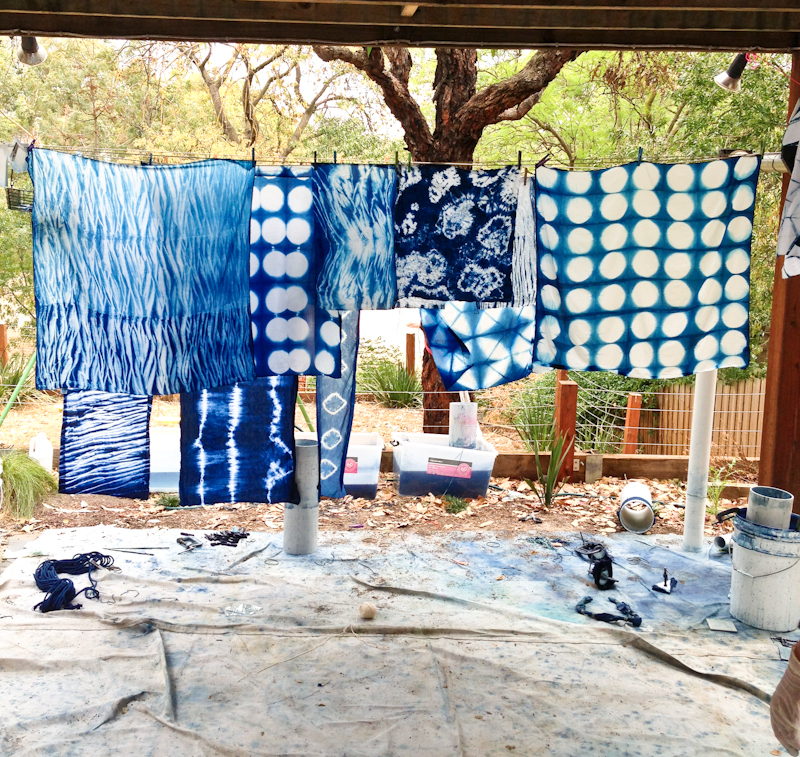 It’s a wonderfully open and enormous space, with plenty of room for all the shibori and Indigo you can dream of. ALL of it. Now I know it doesn’t seem possible that it could get any better, BUT IT DOES. 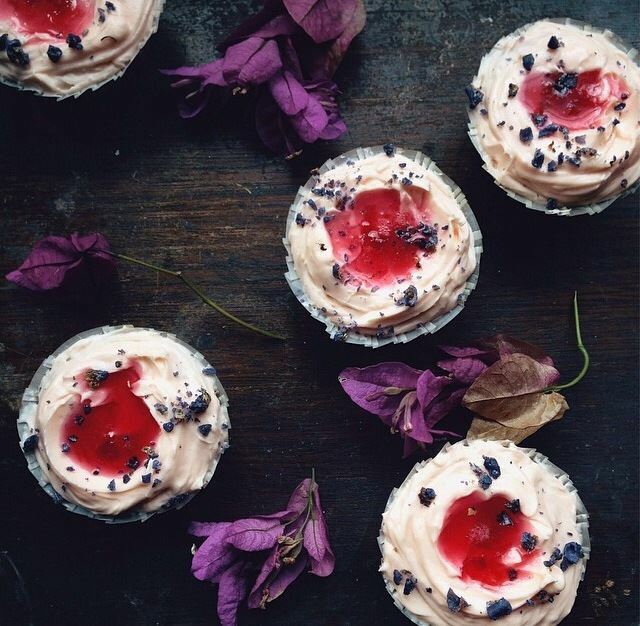 Delicious Cakes by Julia Ostro. Photo by Julia! The super talented Julia Ostro who makes incredible cakes, tarts, donuts, and every other glorious thing you can imagine eating, is going to keep our tummies full with her creations. Each workshop will enjoy one of her seasonally baked creations, along with a fruit platter, and of course tea and coffee. The class itself covers how to set up an Indigo vat and I demonstrate a few different techniques. After the initial instructional part of the class, you’ll explore your creative side and I will be available to answer any and all questions as the class progresses. Everyone is supplied with a silk scarf, a tea towel and scrap fabric, so you can try out your chosen technique before creating your pièce de résistance! 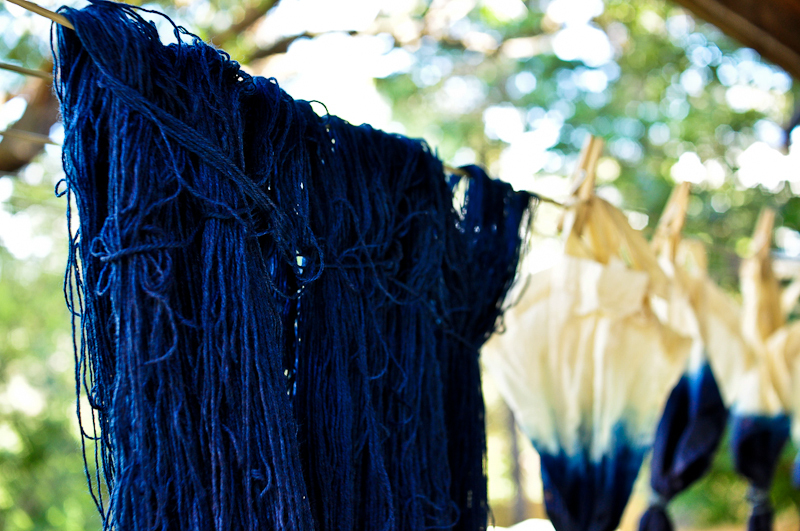 Participants are invited to bring in natural cloth or yarn from home to dye in the vat if they’d like to, and further materials are available for purchase during the class. At the end of the day, you go home with your own Indigo masterpiece, and if you’d like to explore the wonderful world of Indigo further (and frankly, who wouldn’t want to?) 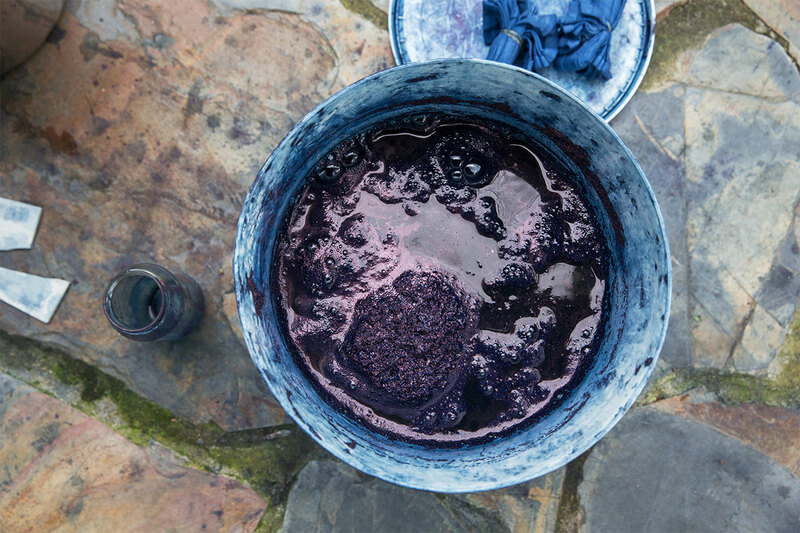 you can purchase an indigo kit (coming soon to the shop for workshoppers!) and keep going with all you have learned. There are 2 class dates available to sign up for in October. The classes run from 10.30 – 3pm and have a maximum of 10 students + 1 assistant position. At this point no further classes are scheduled, however I hope to do more over summer.